Very comfortable, with great ventilation for your back. I used this first on a 75-mile hike through hills over five days. Overall I am very happy with my purchase, although I did think that I might return it at one point. I tried this on in store (REI), fits well (S/M, I'm 5'6" ~160). Hip belt is comfortable on long hauls, as are the shoulder straps. I was able to fit everything I needed, and then some. I did over-pack slightly for my trip, and picking up food/water during my hike I was able able to squeeze more in it than I thought I would. While I did over-pack, I never really felt it on my hips or shoulders. My feet and legs were the only things that got sore after hiking 7-9 hours and going up hills. 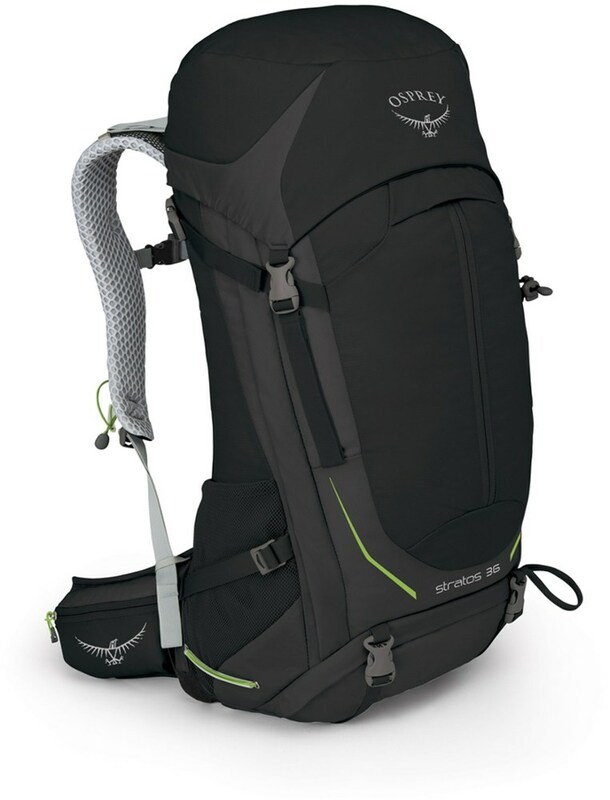 This pack carries weight well, and the suspension-mesh system helps with that I think, as well as keeping my back much drier than my friends on the hike. There is a very nice bottom pocket that fit both my sleeping pad (about a Nalgene size) as well as my Nemo Puffin Blanket. The side pockets are out of reach with the bag on—not a big deal to me, but I understand some people have a bigger issue with that. The top part (the brain) has a pocket on the inside and outside. The top pocket is within arm's reach, which was quite handy for me (changing between my prescription glasses and prescription sunglasses). The main, and only real negative for me, was that I found that the bag squeaks if the straps aren't taut (or after hiking some time if they loosen). The squeak I believe is caused by the brain on top moving back and forth. It isn't much louder than your shoes when hiking, but it is right behind your head unfortunately. It originally made me think that I was going to return it, but for me it isn't that big of a deal considering the rest of the backpack is quality. Welcome to Trailspace, Dan! Thanks for taking the time to share two helpful reviews of your gear with us. It would be great to see a few pictures of your pack in your review if you're willing to share some. 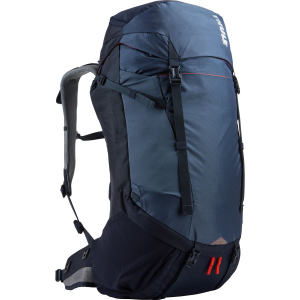 Pack is targeted for overnight or short multiday adventures. Pack is targeted for overnight or short multiday adventures. I use it for my dayhikes as well. Living in Southern Arizona, the water I carry for a dayhike is the heaviest item I carry. I routinely carry 6 (or more) liters when I hike. My dayhike pack weight exceeds the base weight for some ultra light enthusiasts' thru hike pack weight. While my previous pack would accommodate this much cargo, after three hours or so the back and shoulder pain would set in. This led me to start looking for a framed pack. I chose the Stratos 36 with the intention of using it for my weekend dayhikes and the occasional back country overnight adventure. My pain issues have disappeared. My back gets a little stiff after a few hours, but a few toe touch stretches fix me up, and I don't even bother to remove the pack when I bend over. After a recent nine-hour day, there were none of the aches and pains that used to plague me every weekend. 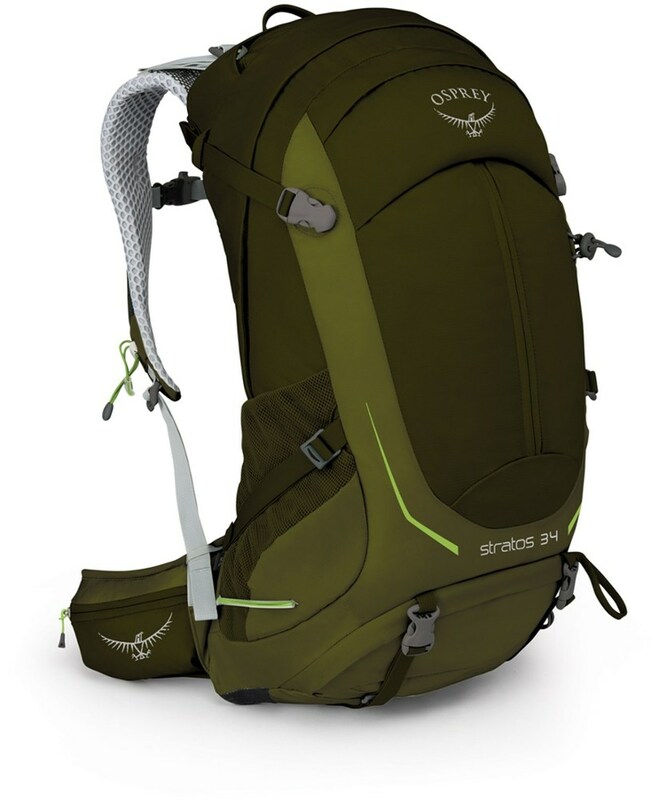 36 liters of cargo capacity might seem excessive for a day pack, but once the compression straps are cinched down, the load is secured very close to the ideal center of gravity. No amount of leaning, twisting, stretching, climbing or scrambling has caused this pack to throw me off balance yet. 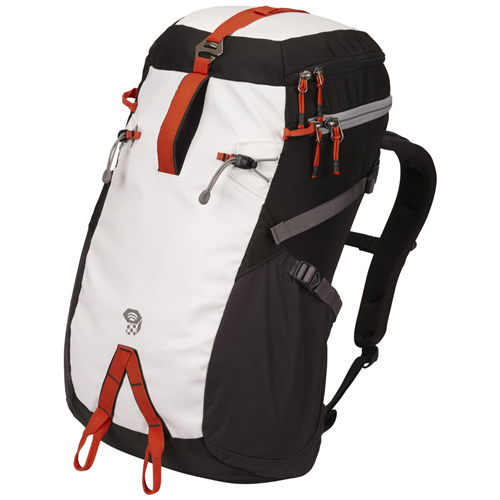 The pack is also small enough that it has not snagged or bound up when squeezing through tight spaces. One of my favorite local hikes requires some light bouldering/canyoneering. With my old pack there were seconds where I would have to remove my pack and throw it ahead, then scramble after it. This was always pretty nervous, hoping the pack would not fall, especially when a fall would require me to climb down and retrieve the pack from sharp rocks or water. I haven't needed to remove this pack yet. It rides nice and closer with no unexpected weight shifts, and I know that as long as I get to the top, so will my lunch and my camera. The pack comes with a rain cover, a nice feature that I probably won't get many opportunities to test out. There are two loops that store a pair of trekking poles under the left arm without taking up pack space. They work very well to keep my poles in an out of the way spot when I am climbing, and with a little practice I can stow/deploy them while on the move. The Airspeed back helps keep the back sweat to a minimum, which is a very nice feature when the local temperatures hover in the triple digits for 5 or 6 months of the year. There are two decent pockets in the pack lid, making it easy to seperate small items and valuables for easy retrieval. There are also two hip belt pockets where I keep my snacks, multi tool and car keys. There is a small pocket at the bottom of the lack where the rain cover resides, but there is room here for a few other items too. The main cargo area can be accessed via the top, a full panel zipper, and a small zipper near the bottom that helps search for loose items in the bottom of the pack. Although I use this mainly for dayhiking, there is plenty of space in the pack for my sleeping bag, pad, my half of a three person tent, a backpacking stove plus food and a few extra layers of clothes. 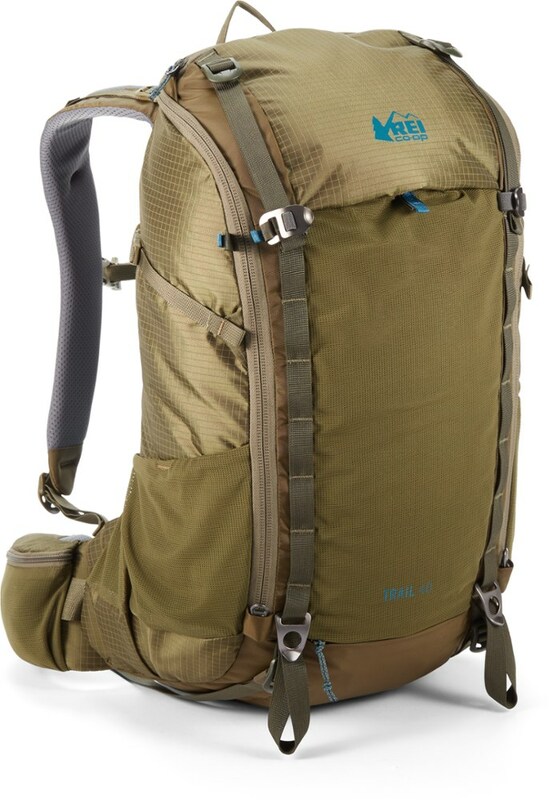 This pack is versatile enough that instead of owning a day pack and an overnight pack, I only need one, which increases the value of this purchase. I had purchased this pack to serve as a combination daypack/overnight bag. Overall it is extremely comfortable, durable and well designed. Front access to the interior of the pack is very useful, as is the built-in rain cover, separate sleeping bag compartment and internal hydration pocket. Would definitely recommend to friends and family. While I found the inclusion of a separate zippered compartment for a sleeping bag to be a nice touch, my 20 degree down bag wouldn't fit snugly. I spoke with customer service, and they suggested a smaller spring/summer bag stuffed directly into the compartment (no stuff/compression sack) but unfortunately they're not allowed to call it a waterproof compartment due to the zippers, and this hurts my rating slightly. It could use an external zippered pocket or two but the two top zippered compartments serve nicely. Plenty of room inside for the essentials. Stretch side pockets with tightening strap also a nice touch for Nalgene/mugs. Recommended max. weight is 25-30lbs. and I've tried it out a few times at the higher end with no issues. Fits very comfortably. I am 5'7" and 145lbs. I ordered the "S/M" but I think the "L" would have been a better choice as you can't adjust the torso length. 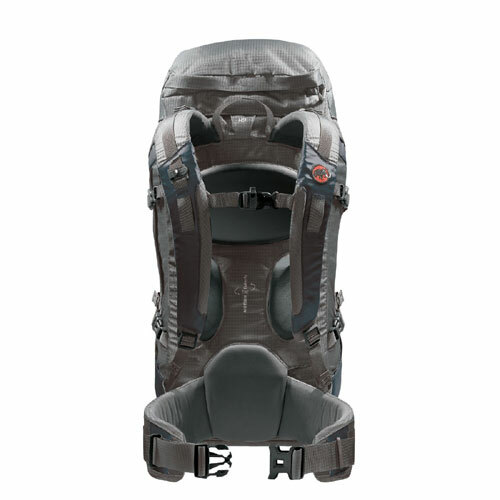 Also, the "L" version was a true 36L pack as opposed to the "S/M" only having 34L. Compresses well and vents above average. I'm pretty sure this bag is doable for summer overnights. I put my hammock, under quilt and top quilt and had about one half to one third of the bag left. I wish the belt padding was longer. Very nice bag. 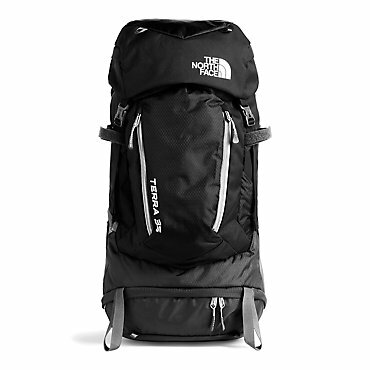 A great pack for extended day trips or light overnight trips. One of the most comfortable packs I have worn. This is a very well made pack. Perfect size for short trips or day trips with gear for two people. As soon as I loaded it up and put it on the comfort surprised me. The only issue I was concerned with was no access to the main compartment besides the top, but then I found a zipper on the side. Osprey was way ahead of me on that one. It was stolen from my friends truck and I was ready to order another but than the Sheriff deputy recovered it. I managed to pack enough gear for a comfortable overnight trip inside with just a sleeping pad strapped on the outside. Thanks for the review of your Osprey, Zachariah. That's great that your stolen pack was recovered! If you have some pictures of your Stratos in use, those would be helpful to see in your review. I bought this bag after having the 24 and thinking it might have been better since it was a top loader. It is a lot bigger than the 24 and overall I liked it! But it was too big for a day hike and too little to hold all my climbing gear. Would be ideal for a overnighter, the big comfy straps feel great! and the cross breeze you get is phenomenal! A lot of pockets for good orgo. and again it comes in that wonderful green color! The only complaint I had really was the arch again being really big, it gives you great cross venting, but squeezes a bladder and cuts on volume.